OMGLITZY: Review: Denny's The Hobbit Menu! 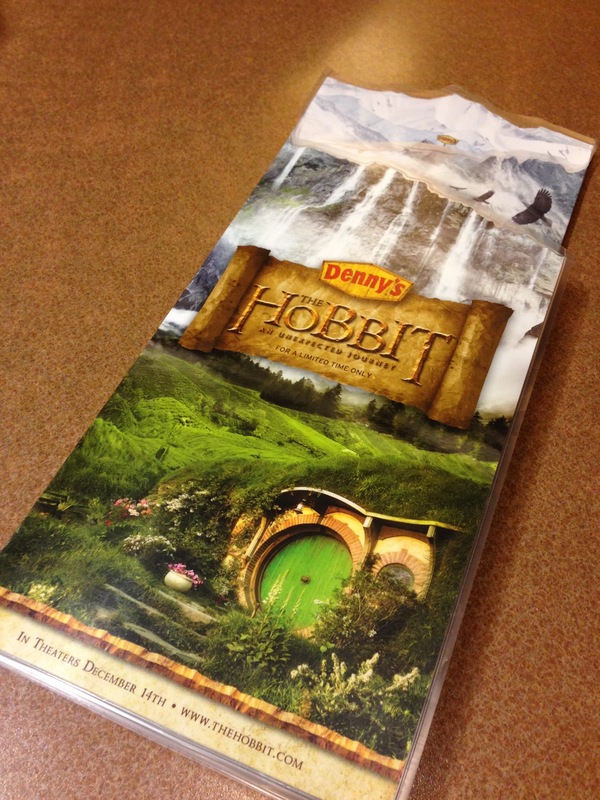 In honor of The Hobbit being released this week and with inspiration from GeekyGlamorous's post, I decided to give the special Hobbit menu at Denny's a try! 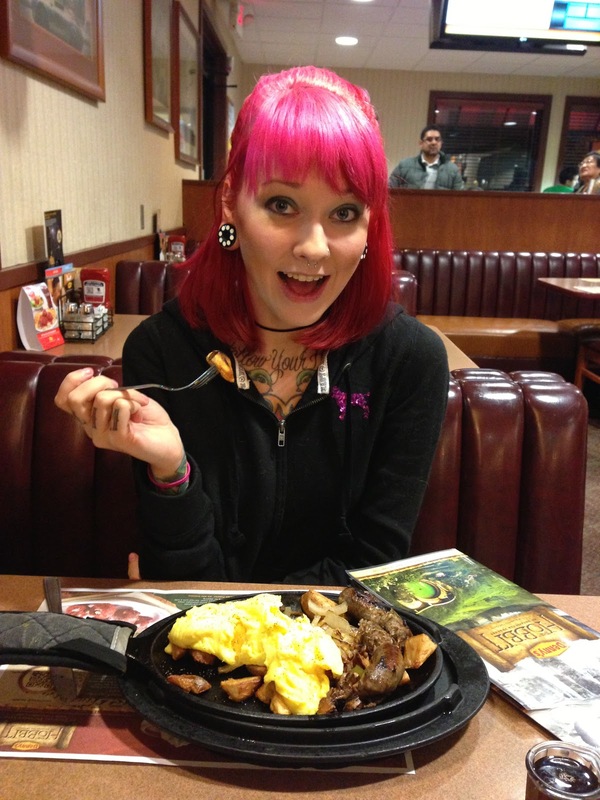 I eventually decided on the Shire Sausage Skillet with scrambled eggs. My dad ordered the Slam so we could try the Pumpkin Patch Pancakes, Seed Cake French Toast, and Shire Sausage. We were feeling breakfast to say the least! The food was pretty good.. my sausage wasn't the best but the eggs and veggies were delicious. Dad's french toast was awesome and we just HAD to order some of the Red Velvet Pancake Puppies to take home with us. The coolest part were the free trading cards they give out if you order a Hobbit meal. 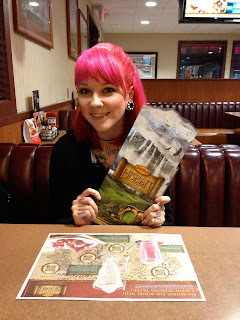 Our waitress gave us 3 packs! Click below to see all the photos!! And for added fun.. this pic below was taken when I went to see Breaking Dawn Pt 2! 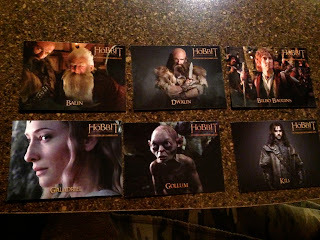 Anyone planning to see The Hobbit opening night?